Our entry level CV service is ideal if you are currently studying or have recently graduated and have little or no employment history. Despite Brexit uncertainty, 2018's graduate labour market didn't appear to be negatively affected, and figures suggest that this could continue into 2019. Reseach completed by High Fliers suggests the UK’s top employers are increasing graduate vacancies by 9.1% in 2019 (with the largest increases across public sector employers, accounting and professional services firms). A hard-hitting and attention-grabbing CV is more important than ever if you’re to stand out from other applicants. Our in-house team of specialist graduate CV writers will utilise expert awareness of graduate recruiter requirements gained over the past 17 years to identify your strengths and promote to potential employers what you have achieved; be it academically, professionally or personally. Free and unlimited CV changes, updates and support for one year! The primary objective of a graduate-level CV is to demonstrate your motivation, academic achievements and goals. Recruiters will look to invest in your recent qualifications to prepare you for a position in their company. Employers won't expect you to possess years of experience on your CV, rather that you can demonstrate enthusiasm, motivation and a positive attitude. This can be achieved by including details of projects and dissertations that you have worked on - showcasing skills needed for the role. Unless you have employment that is more recent and relevant than your qualifications, follow your opening profile with details of your academic achievements – including the university, dates, title of your degree and all relevant modules. Provide evidence of your transferable skills by including all unrelated paid experience. For example: although your part time Sales Assistant job might not relate to your chosen career path, this period can be used to highlight skills, such as: communication, team collaboration and organisation, which are all transferable into any role. Have you gained any unpaid (but relevant) experience? If so, include it! Just because you were not paid, doesn't mean you shouldn't include details of the skills you gained. Usually, extra-curricular activities are not needed in a CV unless they relate to the position you're applying for. However, in a graduate / entry level CV, you should provide details of any extra-curricular activities that can be used to highlight your motivation / achievements. Entry level CVs are usually expected to be one or two pages. Lee Tonge established The CV Store in 2001 following an extensive career in recruitment across the South East. He is often called upon by some of the world's most well-known recruiters for CV advice. 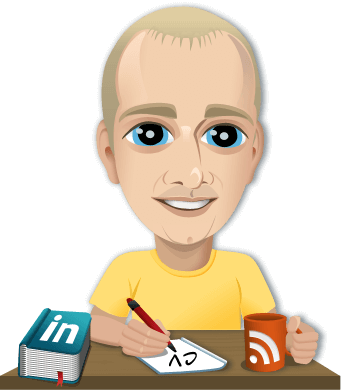 You can find Lee, and read testimonials from previous clients on LinkedIn. "My new CV is nothing short of amazing, better than I expected, I have lots of confidence it will help me secure an interview and I'm more aware of strengths I had but my previous CV never showed. "